Commonly referred to as Duong Lam Ancient Town, this village near Hanoi, Vietnam, is among the last to retain its traditional laterite buildings. Laterite is found throughout a large part of Southeast Asia and India, where warm temperatures and alternating wet and dry periods cause layers of basalt to break into a type of heavy soil. Laterite soils are pliable when wet, but dry to form solid rock. Its transformative nature made it a popular building material in the ancient world (it was used at Angkor Wat) because the damp soil was easy to cut into precise blocks using basic tools, but was solid and long-lasting once dry. In Vietnam, as in other parts of Southeast Asia, the use of laterite gradually gave way to brick and then cement block. 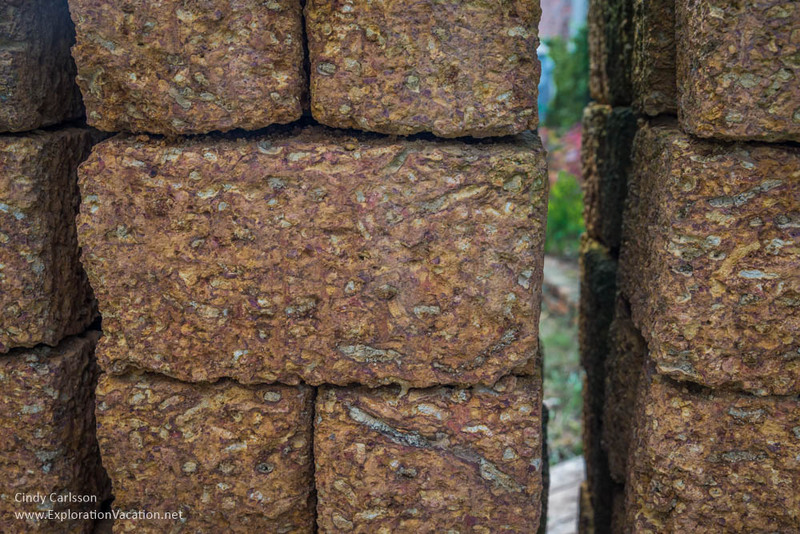 While the use of laterite stone has become relatively uncommon in Vietnam, there are places like Duong Lam where the tradition is being maintained. 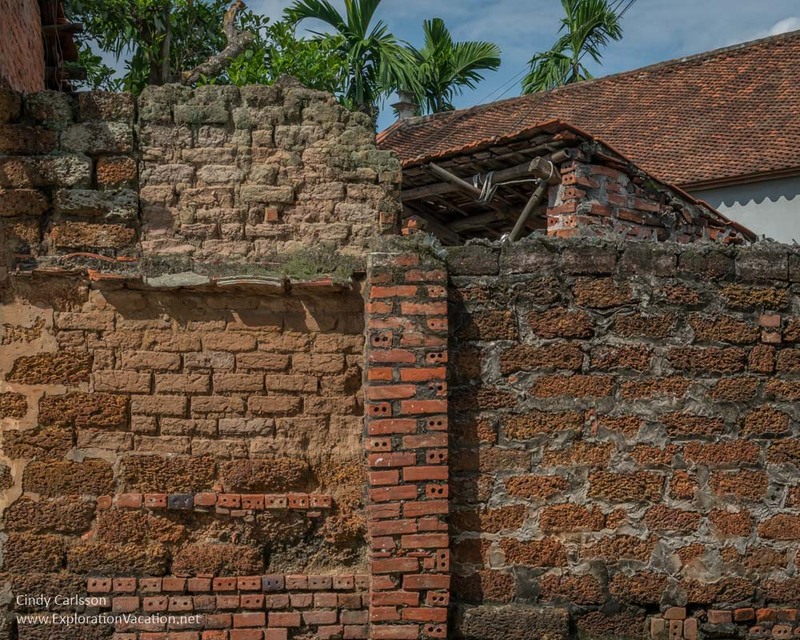 Laterite and mud walls were the norm here for generations, and now efforts are being made by the community to preserve the village’s traditional laterite buildings. That effort means that even a casual walk through town may offer the sight of hard-working women setting laterite blocks out to dry. Sections of Duong Lam are a maze of narrow streets lined with laterite walls, some of which may be three or four hundred years old. Other laterite walls can’t be seen, because they are hidden beneath plaster. And, of course, even in Duong Lam many historic laterite buildings were patched or expanded using commercial brick or block. Duong Lam’s efforts to preserve its architectural history (both laterite buildings and traditional wooden homes) have been recognized and supported nationally (as a national cultural historical relic) and internationally (UNESCO recently presented a merit award to the community). Perhaps more importantly, Duong Lam’s residents seem generally proud of their heritage. Hopefully their efforts will ensure that this bit of ancient architecture will exist long into the future. Duong Lam is located is located about an hour out of Hanoi, making it an easy day trip. Tours can be arranged in Hanoi or adventurous travelers can venture out on their own. Many of the laterite buildings are found grouped together along narrow streets and alleys in a few locations within the larger village. Next → Next post: What’s happening in Phoenix this March?